Whakaatanga means reflection and representation. The design on the front is symbolic of the sacred principle “as above, so below”. Another way of understanding this is that a pure mind gives rise to a pure world. All things are a reflection of our mind. Inner peace, wisdom, insight, and strength. This piece is named Whakaatanga. Our attitudes and views towards certain situations are what is most important. It’s not the situation itself, but how we relate to it that is most important. For example, we could be on waiting for a plane trip and be happy and excited about the waiting, or we could be waiting for the same plane trip and be impatient. The nature of the activity is the same (i.e. waiting) the relationship our mind has to this experience is different depending on our positive or negative attitude. Therefore, this Taonga has in its centre an inlay of Pāua. This is symbolic of the innermost part of our mind. Its nature is beautiful and peaceful. The reflections of our mind are cast upon the world we live within. This is symbolised by the reflected pattern above and below the inlay of Pāua. The pattern on the back of the carving continues this theme and depicts the minds journey inwards towards to higher spiritual grounds that lead to a permanent inner peace that is immovable. 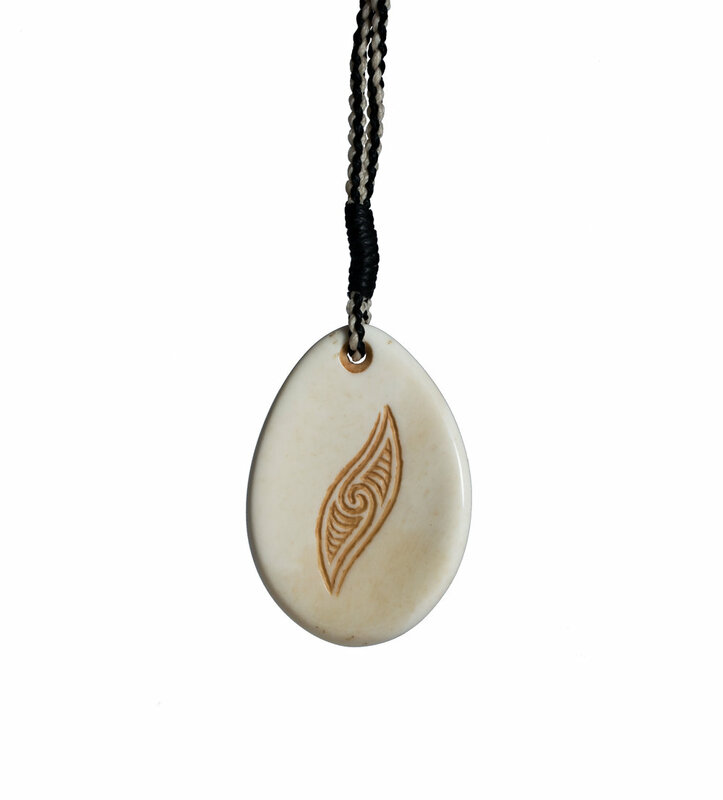 While it is a very simple and small Taonga, the meanings imbued upon it are very profound.